As we mentioned last week, http://blog.sunshine.co.uk/weekends-worst-winter-blues/ the winter blues are slowly creeping up on us. But before you go rushing out to book a holiday beach bonanza, I’d like to encourage you to consider a different type of minibreak this winter. One that isn’t sun and sand. We have Christmas markets here in the UK – and no doubt some fantastic ones, especially in Edinburgh and York, but all across Europe in towns large and small you’ll find some fantastic Christmas experiences. It’s a great place to buy some keepsake ornaments for your tree (a great thing to do with your children, as they can pick out things they like too), and who doesn’t want to sip some hot mulled wine or cider while listening to music under the glow of Christmas lights? There is no shortage of choice when it comes to markets, but I’ve been to plenty. Here are my top three suggestions. 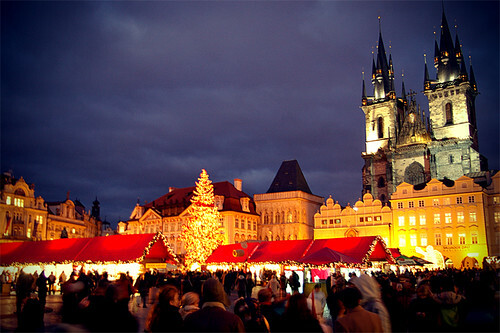 I love Prague, but it’s no stranger to tourists – as we’ve mentioned, Prague’s top attractions http://blog.sunshine.co.uk/top-attractions-prague/ are busy almost year-around, Christmastime included. 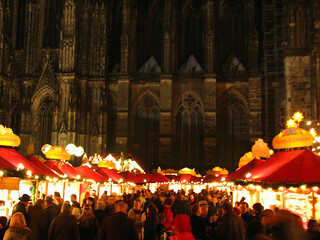 But for me, the bustling atmosphere of the Christmas markets is kind of nice. The Czech capital can be a bit chilly in winter, and with a dusting of snow on the cobblestones, it is kind of nice to be huddled with the crowds, looking at all the market wares through the mist of steaming mugs of hot beverages. And after a day out in the cold, you have the perfect excuse to enjoy a hearty Czech dinner, including a big glass of Czech beer. Prague has several markets located throughout the city, including stalls in most every one of the main squares. Some are more about food, others are more about shopping, but they’re all beautiful, so I suggest you just do a walking tour of the entire town – especially at dusk, when the lights just look beautiful. Christmas markets originated in Germany, so no doubt some of the best can be found there – I truly think every single town in the country has a market, even if there are only a few people that live there! To pick my favourite is difficult, because they each have their own distinct style and personalities that often reflect the town itself. Cologne has about 6 different Christmas markets, so you can spend a (very long) weekend exploring them. There’s the market on a boat (good for shopping homemade souvenirs). There’s a kids market that is a ton of fun for the wee ones, and they can get their own cute little mugs to take home. There’s the food market underneath the main cathedral, where overeating is not just a temptation but a requirement. Other markets seem to pop up around every corner. Far away from the hustle-bustle of Paris or the sunny shores of Nice on the south coast is Lille, a small historic town near the Belgian in the north of France. Lille is a wonderful town, with massive city parks, a couple of world-class art museums (including one around a swimming pool! ), and a historic city centre that is beautiful. 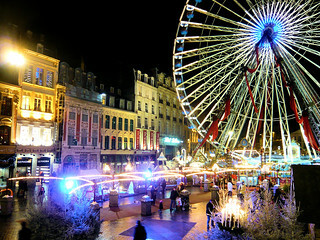 Lille has two city squares, and these are turned into Christmas-mania for the season, including a beautiful Ferris wheel and tons of shops and food stalls. This is France, though, so everything seems to have that je ne sais quoi touch of class that the French have perfected. If you haven’t been, this is a great time to see Lille’s classic attractions in a ambient setting. Lille is actually easy to get to from the UK – it’s on the high speed rail line from London to Paris. Many actually know Lille simply as a transfer station, but few get off and explore all that it has to offer.